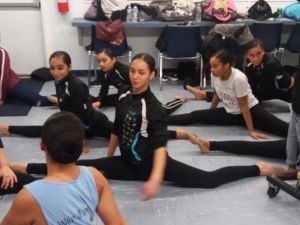 On February 24th the New Hope Youth Dance Company performed at the “Praise Festival” at the Publick Playhouse. Comment from the organizers: New Hope Youth Dance Company not only danced the song Blessings but they were the Blessings!! The technique, coordination and spirit of the dancers was so exciting. So glad that your group auditioned. Your young people are wonderful.